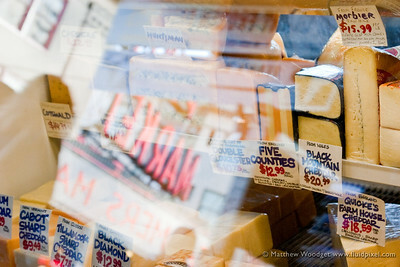 Customer Service | Photography, Storytelling, & Growth Marketing by Matthew Woodget. 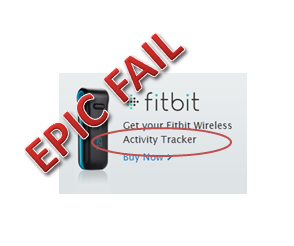 Update July 16th 2012: I must say that after a recent customer service experience I had with FitBit that despite the prior issues I had with their changing the website in confusing ways that they have just made a customer for life. They went out of their way, in a big way, to help keep me in the FITBIT game after some colossal user stupidity on my behalf and for this they should be commended. THANK YOU FITBIT team! I’m in love again! I used to love my fitbit! It wasn’t the device itself but the service component. As a device I far preferred my Omron HJ-112. Why did I love the fitbit? Being able to track how active I was through the day, and across the days. In particular I loved the granularity of a day. Being able to see what activities yielded the best results, sometime I was surprised. It certainly helped me push myself to get out and about more. When I logged onto the website yesterday I was confused. It looked ‘newish’. The rather useless and real estate hog of ‘summary of daily progress’ was still there, which I can already see on my fit bit (daily goal aside). Before that was forgivable. Below this no longer could I see the breakdown. Now I’m provided with two utterly useless things (for me). Food Plan and “Body” (weight). I don’t track these things. OK so occasionally I track my weight but that’s it. Fitbit support informed me the changes are for the new Aria Wireless Scale. By all means enhance your offering but don’t change it on the people who made you what you are. And no, fitbit, I will not be buying your scale. I’m kind of ticked at the $99 I spent on my fitbit. The change might not have hit you yet. Enjoy that whilst it lasts. The website still promotes fitbit as an ‘activity tracker’ but here are some of the key things activity tracking things that have gone. Month: Activity view across the days (with any granularity). Now it’s an either or and is a clunky bar chart vs. the prior detailed line chart. I won’t go too far into the granularity of it as that would get tedious, but you ge the point? A Bing search throws up lots of example images/screen shots of the detail that used to exist which has now gone. In short I want my old website back or I go from raving fan to the opposite. I’ll be looking at the Nike Fuel Band and other alternatives. Worst case I can go back to my Omron HJ-112 (which was awesome) and have a battery that lasts for ever and a view of my past weeks data in the palm of my hand*. *fitbit still don’t even have a Windows Phone 7 ap!